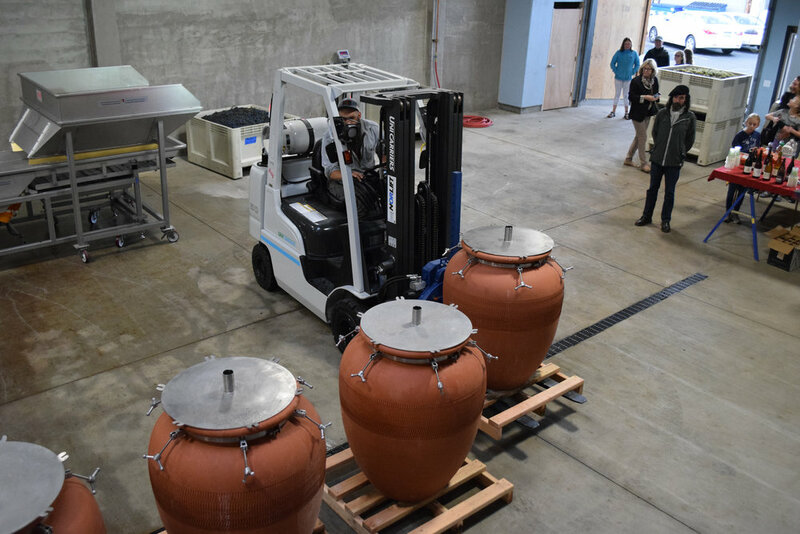 Our urban winery project is composed of several interrelated elements: a fully-functioning winery specializing in amphora fermentation; a barrel storage area which doubles as an event space; and a wine bar and bottleshop focused on natural wines from around the world. Also sharing the building is the restaurant, Lion & Owl, featuring an innovative brunch and dinner menu "for the fierce and the wise." Civic evokes the Latin civis, citizen, and civitas, the social body with the rights and responsibilities that connect members of a community. We want to celebrate the Willamette Valley, its rich agricultural history, and Eugene's place within this ecosystem. Our focus is on organic and biodynamic grape growing and processing. 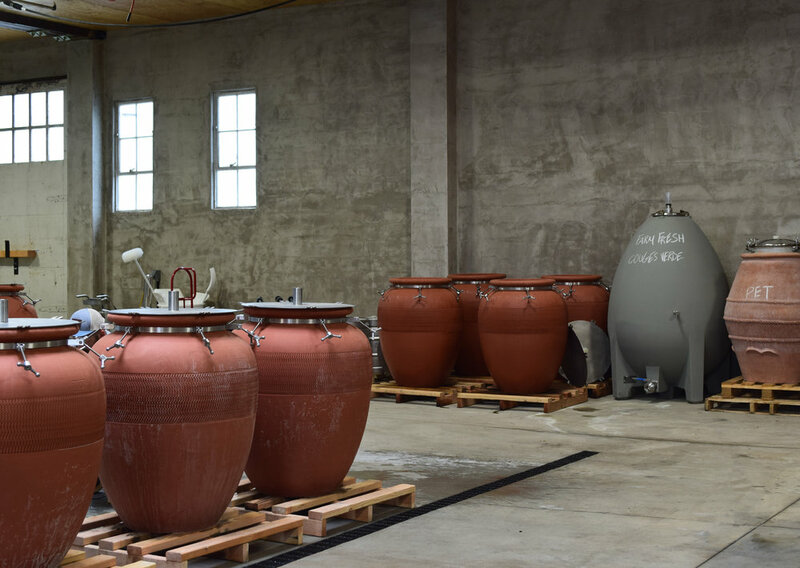 We use Oregon-crafted terracotta amphora for wine production, vessels which harken back thousands of years. The choice to bring this project to downtown was fueled by the desire for a unique and interactive experience and represents a major investement in community revitalization. Our bar and bottleshop celebrates natural wines made by small growers and producers who focus on organic and biodynamic farming, gentle extractions with indigenous yeasts, minimal intervention and low sulphur. We have a selection of wines geared toward the curious and conscious consumer, for pleasure, for the table, and for the cellar. 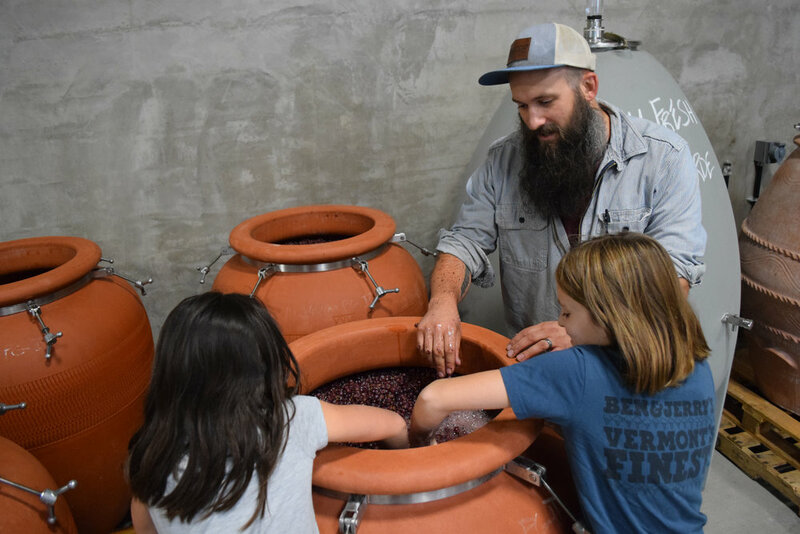 Located in the heart of Downtown Eugene, Civic Winery & Wines is a multi-faceted project housed in a newly-renovated historic building. 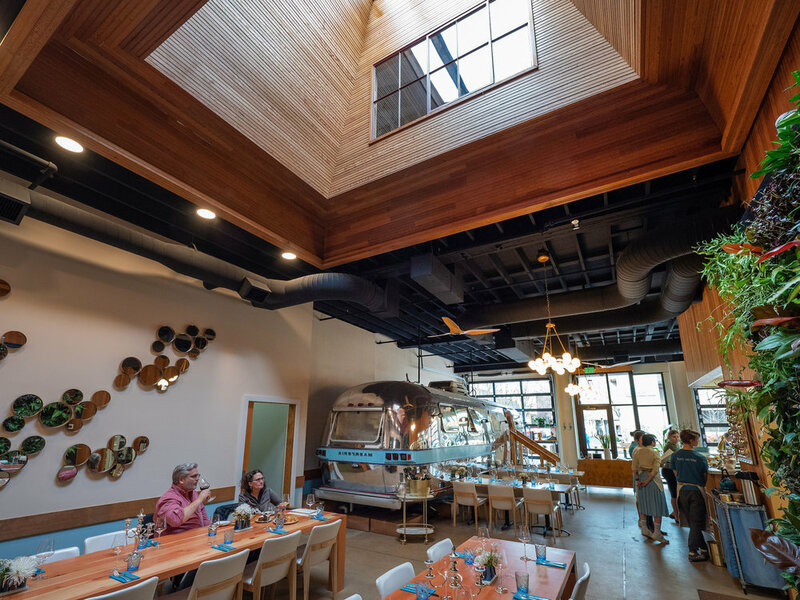 Originally constructed in 1937 with some of the leftover lumber from Civic Stadium, the renovations exposed the high ceilings, beams and trusses that previous tenants had allowed to remain covered. 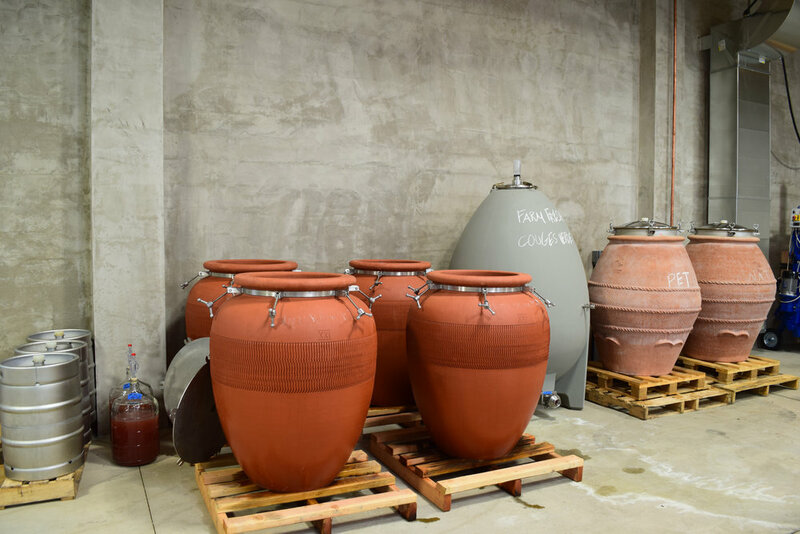 The Civic Winery has the capacity to process 8000 cases from grapes through fermentation, maturation and storage in a variety of vessels from amphorae to oak barrels, both in our production hall and temperature-controlled cellar. The winery is the heart of the building and will be visible from the restaurant and the wine bar/ bottle shop through large windows separating the various spaces. The Civic Winery is setup to host private events, in a charming winery environment. 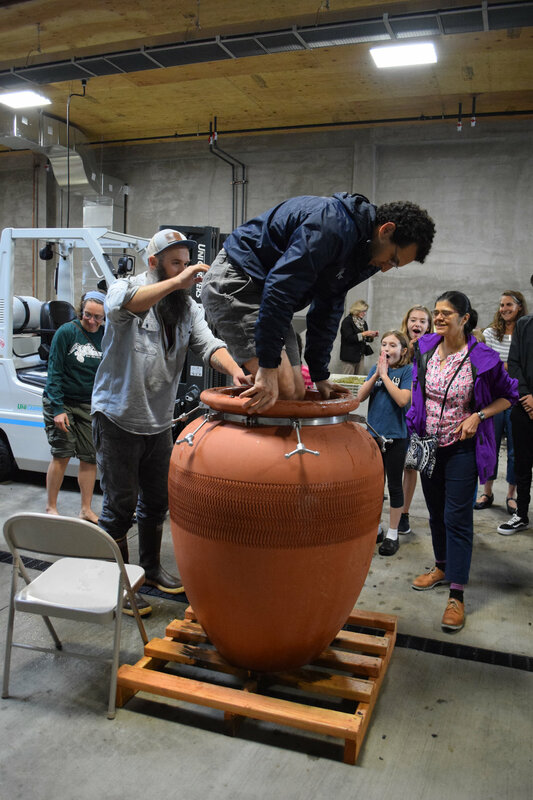 For decades, Andrew has been teaching ceramics in the local public school district and years ago began his journey to making the best terracotta winemaking vessels in the world. One of the newest additions to Eugene’s culinary landscape, Lion & Owl is now open for brunch. Check their website for hours and reservations. Owners Crystal Platt & Kirsten Hansen will move their successful mini-restaurant, airstream and all, from its current pop-up spot to a more permanent space within the building. Inspired and eclectic brunch menu will remain the focus, though the expanded space will allow for an expanded menu: caviar, oysters and eventually dinner will be on offer alongside a well-curated champagne & wine selection as well as a cocktail menu. 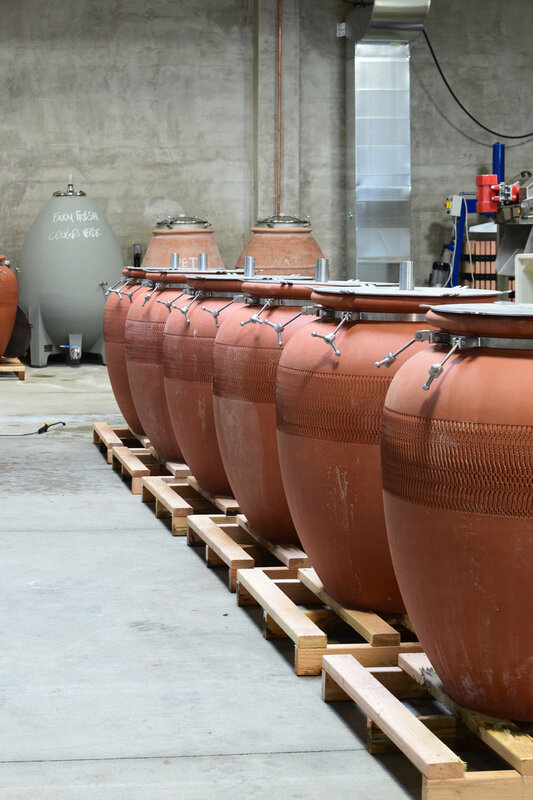 The bar will provide a list of quality wines, including natural, global and amphora, by the glass and on tap, some of which will come from the winery. Our bottle shop will offer these and other wines for retail purchase. The Wine Bar and Lion & Owl will provide our Guest Winery Clients operating in the urban winery a critical element of their business operation- direct to consumer exposure in an unparalleled environment. 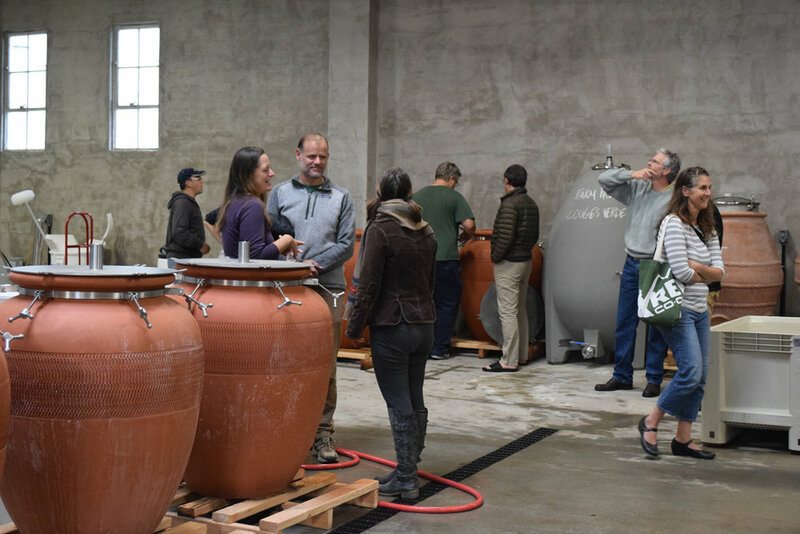 Interaction between the winery operations and barrel storage will invite tours and educational opportunities for our guests. Direct sales of the wines in our wine bar and restaurant create this direct link from production to consumption and enjoyment. This is a unique and exciting opportunity for our clients. 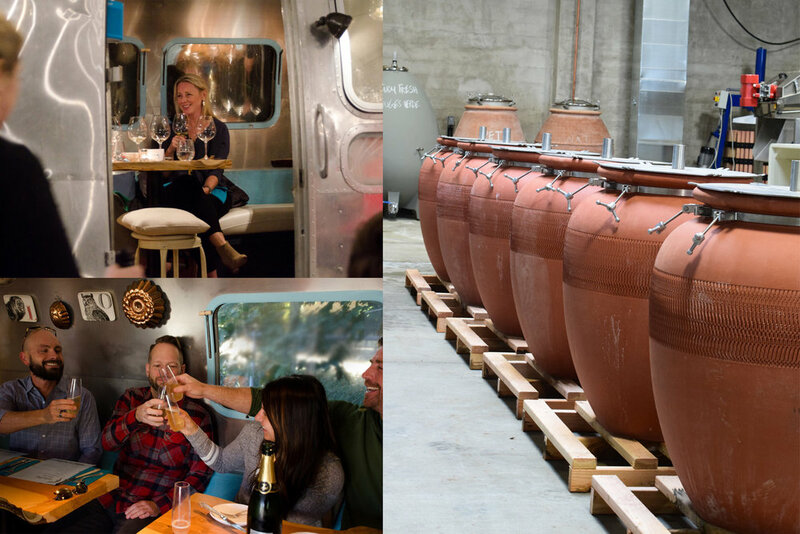 A toast at Lion & Owl and a view of the Amphora in the Civic Winery production facility. Civic Winery offers an opportunity to rent out its unique cellars for private events. Each event can be tailored to suit specific themes and interests.